We usually warn people not to fall for the “make money at home” scams… so I couldn’t resist alluding to that in the title. But this one is legit. 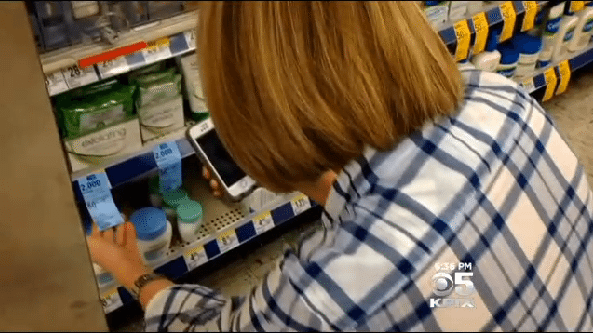 We chose to feature Gigwalk in a KPIX ConsumerWatch segment because they are attempting to revolutionize the hiring process—using an algorithm that could someday make interviews and resumes obsolete. However, the app itself could be really useful for busy moms, students or anyone interested in making a few extra bucks in their free time. Watch me test it out in this CBS story. Gigwalk is an app/company that allows you to find short-term, one-time, local gigs (jobs) near you. They’re primarily simple gigs for large corporate clients (for example, snapping photos of a Pepsi aisle display at the grocery store). It’s not a full-time job. Gigwalk says they focus on “second-paycheck” kinds of gigs that initially only pay a few bucks… but if you’re already at the store, why not make a few extra bucks snapping photos while you’re there? The more gigs you do, the more higher paying gigs you’re offered. NOTE: Because the gigs are generally low-paying, it may not pay off to apply for a gig that’s more than a few miles away. You don’t want to pay more in gas than you make for the gig. After testing it out, I would use this on a day when I know I’m going to need to run errands. First thing in the morning I’d check the app for available gigs (they go fast so you need to check early), then I’d plan my errands around the gigs I sign up for. If you test it out, let us know what you think!